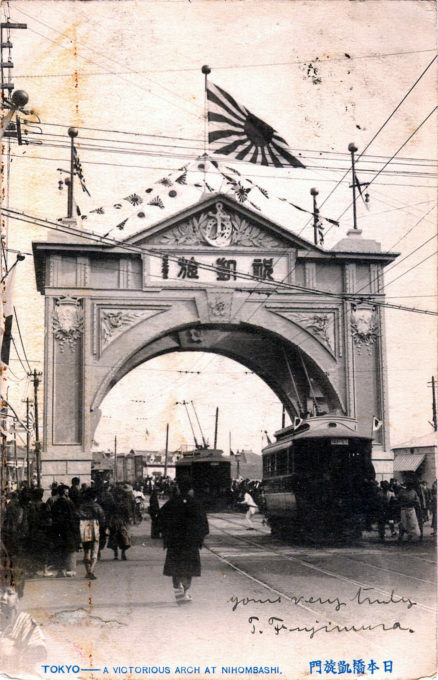 Victory Arch, Shimbashi, c. 1904-1905. Victory over Russia in the Russo-Japanese War was a pinnacle moment for the Meiji government and its modern army and navy, and was marked with many celebrations, grand parades, and the construction of triumphal arches across Japan. 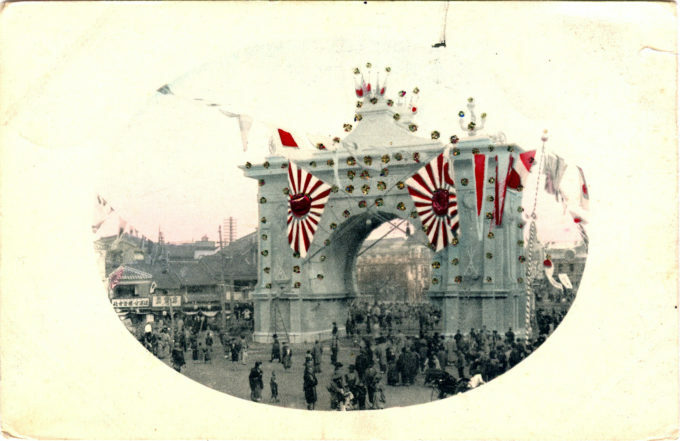 Victory Arch, Nihonbashi, c. 1904-1905. 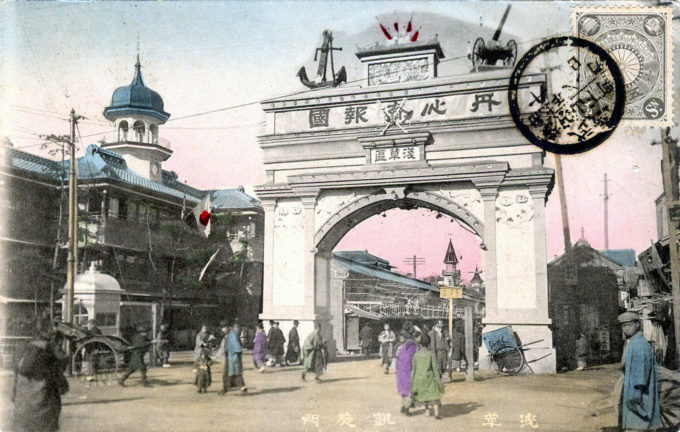 “During a relatively short but bloody land and naval campaign between February 1904 and September 1905, Japanese forces proved victorious, although at a great cost in terms of lives and economic hardship. The Russo-Japanese War has been called the first major international conflict of the [twentieth] century. As well as gaining territory, Japan now became one of the great powers. Victory Arch at Asakusa, Tokyo, c. 1904-1905. 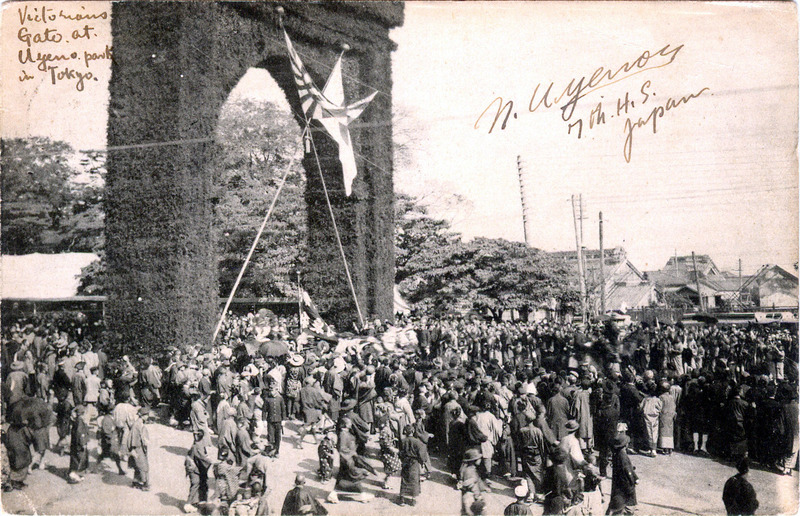 Victory Arch, Ueno Park, c. 1904-1905.